Even though eCommerce is not a brand new industry it still remains one of the youngest ways of doing business. For that reason many people still have some fears about buying and selling products online. So, what are the main concerns in eCommerce? How to lessen their effect on your revenue? And what are the best shopping carts that may help you to create reliable and trustworthy web store? There are several most common eCommerce fears that prevent people from buying online. Virtual purchase. Your clients cannot see or touch a product in reality until it will be delivered. Actually they even do not know if the item exists at all. Additionally there is no brick and mortar building where they could return a product in case it does not satisfy their demands. Order process. Basically your clients only want to get a product. So try to imagine how frustrated they can be if an item which they purchased wasn’t delivered on time or even at all. Security. The number of credit card frauds increases from year to year. People are seriously worried about their personal and account information which may be stolen. Moreover a lot of buyers are discouraged with numerous spam messages that may come to their email boxes after registering at webshop. Use a well-known and well-respected payment gateway to capture all payment information. Display the gateway’s security seal and promise on all appropriate pages. 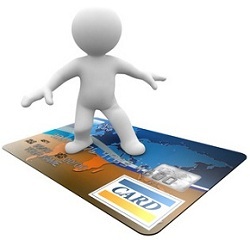 Let your customers know if you are PA-DSS or PCI DSS compliant. Use clear branding on your site and a brand-specific URL whenever possible. Keep your site security certificates updated and consider an extended validation SSL certificate. Finally, make sure your customer can reach out to a real person to confirm your site is authentic. Keep contact information readily available throughout the checkout process. Include high-quality images and product details for each product. Video demos of the product in action are great. Send out automated order confirmation and tracking emails. Offer step-by-step tracking capability on your website. Give your shopper buying confidence by making a sales rep available, should they have questions or need a more personalized buying experience. Again, post relevant contact information on your site and on each page of the checkout process. Offer a no-questions­-asked return policy, preferably with return shipping paid. Magento shopping cart - an open source solution available in both free and paid editions. Magento is known for high customization options. Opportunity to add unlimited pictures and zoom will make your virtual products look like real. You will be provided with an integration to all the major shipping and payment gateways like FedEx, UPS, DHL, PayPal, Google Checkout, etc. Advanced order management system includes creating and printing invoices, send shipment and credit memos, email notifications about orders and assisted shopping. Additionally you will be provided with SSL security support and multiple checkout options (one-page, guest, etc.). You can also reach full security of your store since Magento is PA-DSS certified. BigCommerce cart - is a powerful and intuitive hosted solution. It provides you with full security features including full PCI compliance and SSL certificates. Order management will allow you to print individual and bulk invoices and set up order statuses (shipped, awaiting payment or fulfillment). BigCommerce stores are well known for an automated return system, multiple payment and shipment options and various checkout opportunities. X-Cart platform is an open source paid solution. It offers powerful payment security features that are available with X-Payments module (PA-DSS compliant). For more convenience, the integration with more than 50 payment gateways is available. X-Cart also supports various credit carts and shipment options. Numerous order and checkout functions will make it simple to make your web store reliable and multi-functional. Product images, reviews and ratings will provide convenient shopping for your customers. Now there can be only one issue that can prevent you from building a trust-worthy and profitable Internet shop. You may already run a store with a shopping cart that doesn’t provide you with enough functions. In this case take all the benefits of easy and secure automated migration service Cart2Cart. To start with register an account and run free Demo Migration. After you will ensure the service accuracy and safety start your Full Migration and establish a truly reliable and solid store with Cart2Cart.